A coat of fine fabric is then applied. 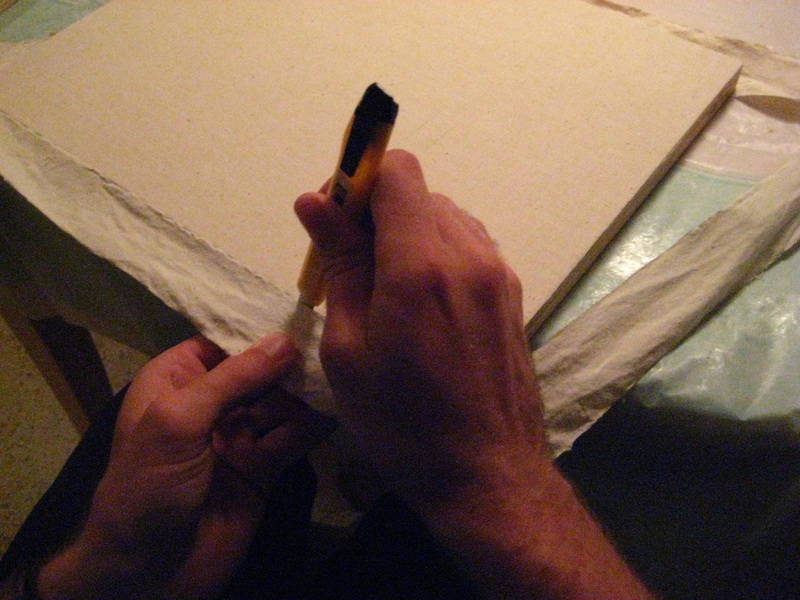 After drying it is cut away (the same with the acrylic gesso). 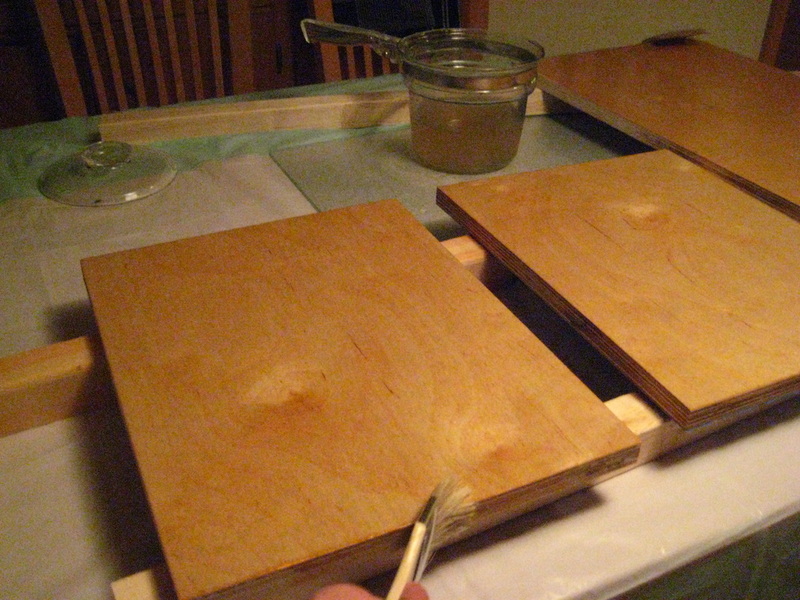 Apply two coats of heated rabbit skin glue at appropriate time intervals. 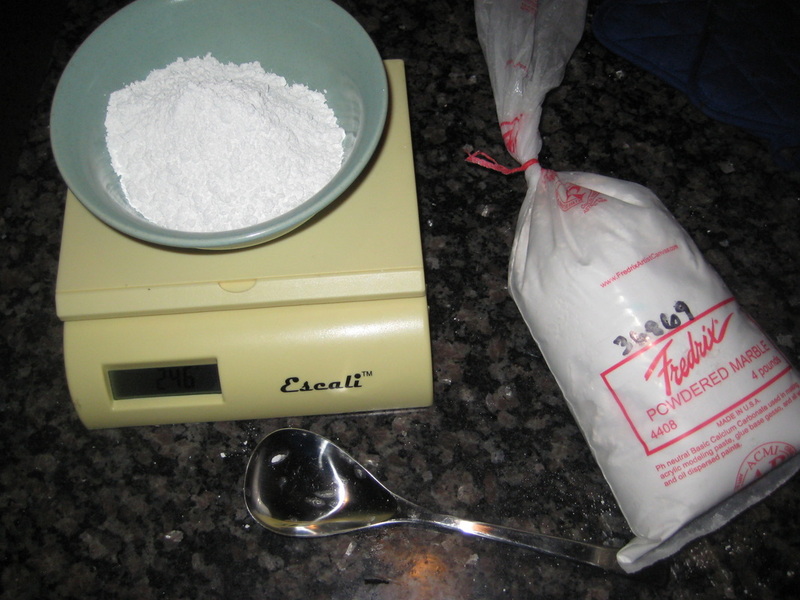 Weighed marble powder or calcium carbonate is gradually added to the glue. 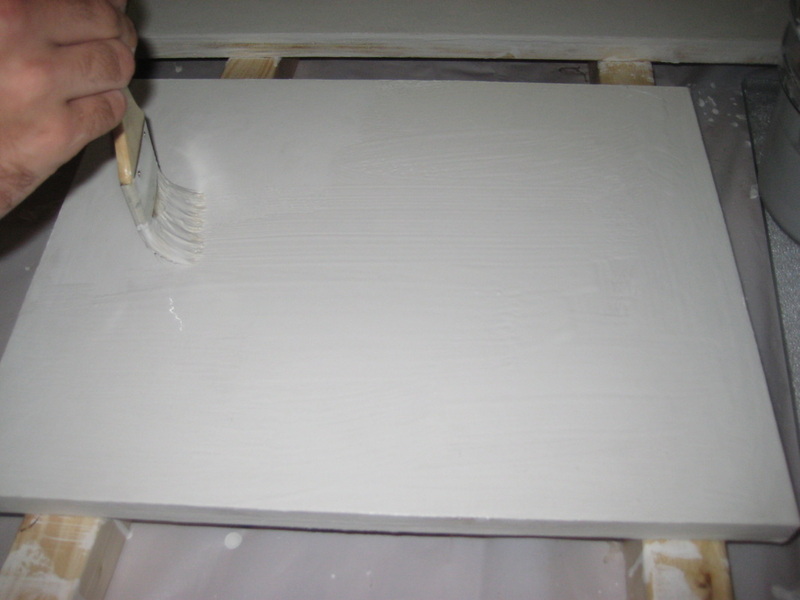 This gesso sets up fast so more is mixed between coats. After this initial process the layering of many coats begins. 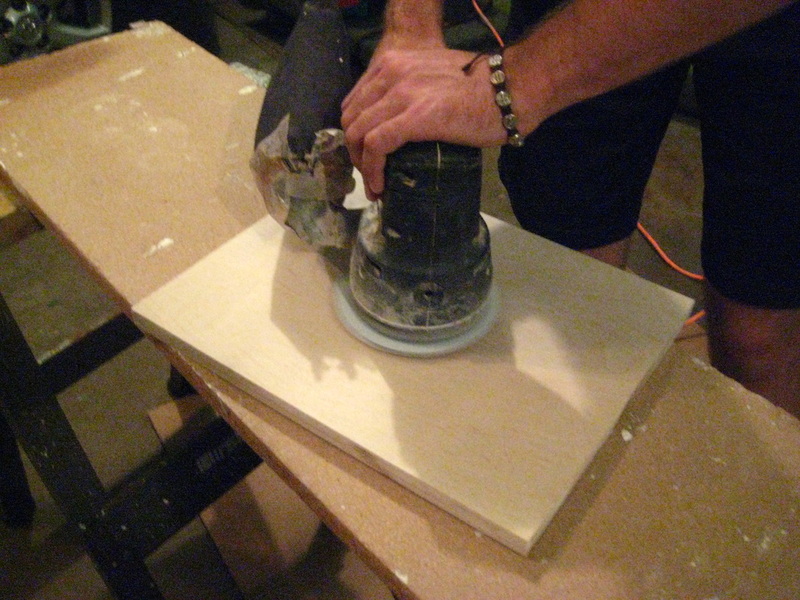 Then the board is sanded to a fine finish.